File - Laverne Cox attends the Instyle 20th Anniversary Party at Diamond Horseshoe at the Paramount Hotel on September 8, 2014 in New York City. 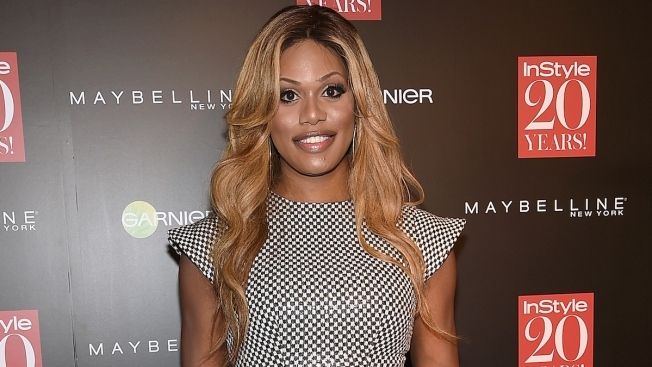 Laverne Cox will host a documentary on MTV and Logo next month that profiles seven young transgender people. The special, "Laverne Cox Presents: The T Word," will air simultaneously on the two channels on Oct. 17. Cox, a transgender actress, was nominated for an Emmy Award for her role in Netflix's "Orange is the New Black." After the documentary, Logo and MTV's web site will air a forum where Cox and the documentary's cast members answer questions from viewers about their lives. MTV personality SuChin Pak will help lead the "Trans Forum" discussion. MTV said Thursday that the people profiled in the documentary range in age from 12 to 24.